The Liberal government is poised to pass new firearms legislation — changes to the country's firearms regime that Ottawa says are "modest" but necessary reforms to help tamp down on the frequency of violent gun crime. Here's what is in Bill C-71. The Liberal government is poised to pass new firearms legislation — changes to the country's firearms regime that Ottawa says are "modest" but necessary reforms to reduce the frequency of violent gun crime. 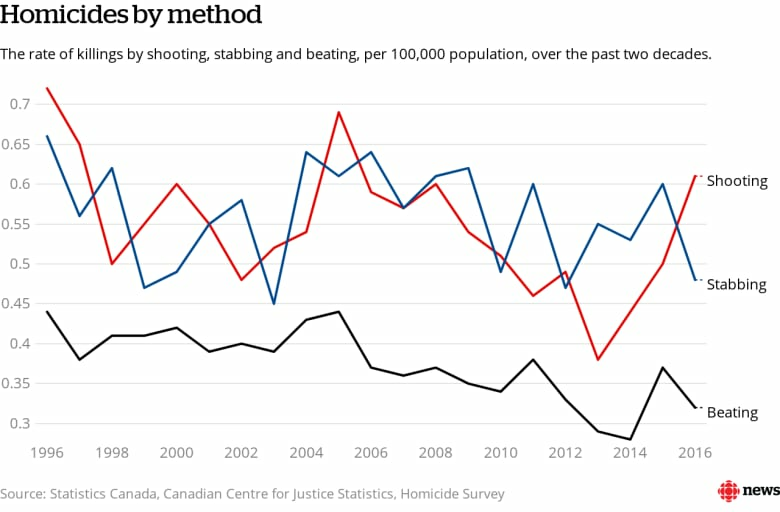 In the last election, the Liberal Party vowed to reverse a decade's worth of Conservative changes to gun rules they claim bolstered firearm-related crime. Bill C-71, introduced by Public Safety Minister Ralph Goodale, fulfils that commitment through an overhaul of the background check system, new record-keeping requirements for retailers and further restrictions on transporting a firearm. "The provisions in Bill C-71 are modest and reasonable, and they do not entail a significant new cost," Goodale said of the legislation, which is at third reading in the House of Commons. "Bill C-71 [is] an important piece of legislation in support of public safety and the ability of law enforcement to investigate gun crimes, while at the same time being reasonable and respectful toward law-abiding firearms owners and businesses." The Conservatives have railed against the bill, claiming it will impose onerous regulations on lawful gun owners while doing little to crack down on gang-related crime largely carried out with illegal firearms sourced from the U.S. And at least 86,000 Canadians agree the bill should be killed, having signed one of the largest e-petitions in Parliament's history. The Liberal government, meanwhile, says a troubling spike in gun crime demands some sort of legislative response. The chief firearms officer in each province conducts a background check on anyone applying for a Possession and Acquisition License (PAL) — something all firearms owners must have before they can legally purchase a firearm in this country. Under the proposed legislation, police would examine a person's entire life history for potential red flags. Under the current standard, they only assess an applicant's previous five years. This review is designed to weed out people who shouldn't have guns — those with a violent criminal past, for example, or a history of spousal abuse. Critics say the current five-year limitation is too arbitrary, allowing people who might be considered undesirable for a PAL to simply run out the clock. Gun rights advocates, however, worry the background checks could become too invasive and extensive, resulting in many more prospective gun owners being disqualified. Following an amendment at the public safety committee, the chief firearms officer also would be able under the new legislation to review a person's online history before granting a licence. While the opposition Conservatives have said they can accept some changes to the background check system, they are very much opposed to the Liberal government's plan to force retailers keep a record of all firearms sales and inventories. Gun rights advocates maintain these log books — which retailers would have to maintain for 20 years — are akin to a revived long-gun registry, which the former Conservative government dismantled. 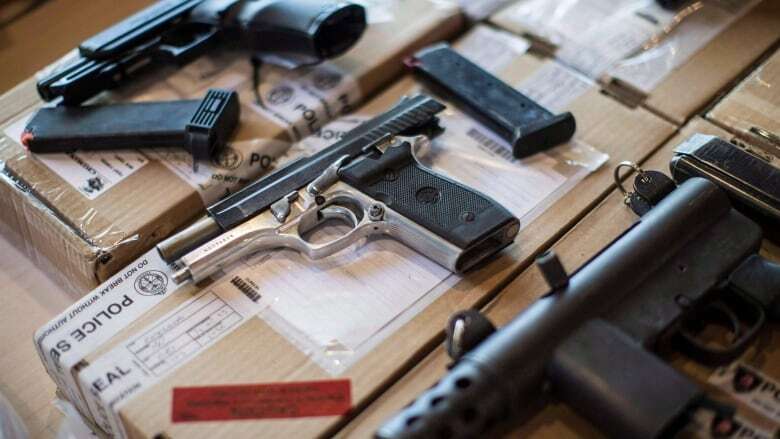 Under Bill C-71, a business must record dates, references and licence numbers and the firearm's make, model, type and serial number — information Ottawa said it believes will help police trace guns used in crimes. The Liberal government says it is disingenuous to call these new record-keeping practices a "back door gun registry" because they will be maintained by retailers — not government — and will only be available to police with a warrant. Most major sports retailers, like Cabela's and Canadian Tire, already record all sales as a matter of good business practice. "It's simply not a federal long gun registry, full stop, period," Goodale said in a recent interview with CBC News. "The requirement for retailers to maintain their own private record is just that — they're private records of the retailers, and they will not be accessible to government. "They would be accessible to police when they are investigating gun crimes, with the proper basis of reasonable cause and judicial authorization through a warrant." Gun rights activists are skeptical and fearful those records, in the hands of the wrong people, could put lawful firearms owners at risk of being targeted for theft. Will the Liberals' 'common sense' gun law changes do anything to address the spike in gun violence? Many gun control advocates, meanwhile, say the Liberals haven't gone far enough and that they should have restored the so-called "1977 provisions." That's a reference to a firearms law that once forced gun retailers to record all firearms sales and to make those records easily available to police looking to trace non-restricted firearms — without a warrant. The Liberals say C-71 brings Canada in line with the U.S., where federal law requires that records be kept on every gun sale through federally licensed firearms dealers. The legislation also makes it an offence to sell a firearm to a person without first checking their licence and verifying that it is still valid. Again, most reputable retailers already follow this practice. It is already illegal to sell a firearm to anyone who doesn't possess the appropriate licence, but the Liberals say too many retailers are not actually checking the licence before completing a sale. The Liberals are reversing another Harper-era change to the country's firearms laws by tightening the rules on carrying firearms away from home. A licensed gun owner must possess an authorization to transport (ATT) document if they want to travel with a restricted firearm like a handgun. The Harper government tweaked the regime so that the ATT was attached to a person's licence — some called it an "automatic ATT" — thus eliminating a layer of paperwork. After the change, gun owners did not have to seek approvals from police each time they transported their firearm for certain routine activities, like target shooting, taking a firearm home after a transfer, or going to a gunsmith or a gun show. While that change was praised by gun owners as a major time-saver that pared down some of the firearm bureaucracy, gun control advocates said it made the rules far too lax. The Canadian Association of Chiefs Police said the Harper ATT rules amounted to a licence to take a firearm anywhere. 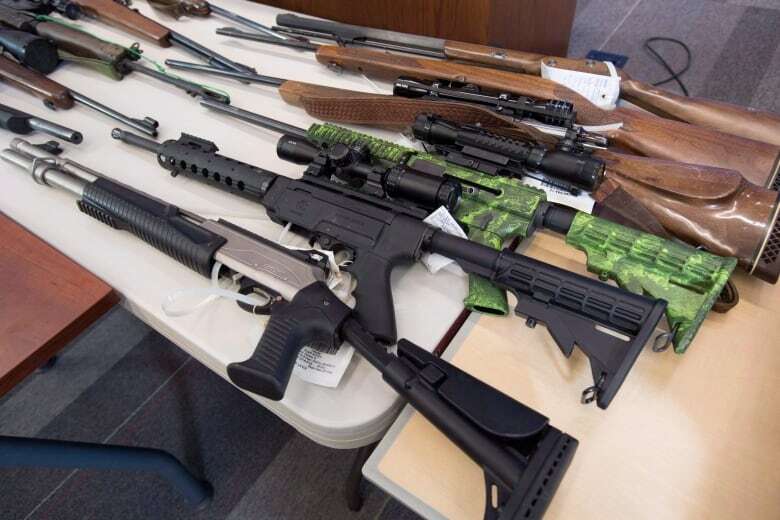 "Because the ATT was automatic and applied to numerous different destinations, it became virtually impossible for police to detect the transportation of restricted or prohibited weapons for illegal purposes," Goodale said in a recent speech in the Commons defending C-71. "Bill C-71 seeks to narrow and clarify the scope of the ATT rules." An automatic ATT would be extended to those taking a firearm to a certified shooting range; in other circumstances, a separate ATT would be required. The government maintains that 95 per cent of all gun transportation is to and from a gun range, so the impact on most owners would be minimal. Gun rights advocates say this is strictly a political move designed to punish legal owners because no criminal has ever applied for an ATT to carry out a gun crime. Gun control advocates, on the other hand, argue that strong controls over legal guns reduce the chance that they'll fall into the wrong hands. While definitions of the three classes of firearms — non-restricted, restricted and prohibited — will continue to be set by Parliament, the Liberal government is giving the RCMP the power to decide how individual firearms are classified. "After the definitions have been set in law by Parliament, it should be firearms experts who make the technical determination as to which firearm fits into which category. That is a factual, technical function, and it should not be politicized. Bill C-71 makes that point very clear," Goodale said. The Liberals say that, under Harper, cabinet was able to "contradict the experts" and assign a lower category to a particular firearm. Those opposed to C-71 say the government is abdicating its legislative responsibilities by allowing police to make these choices without political approval. C-71 also reclassifies two types of firearms — most models of the Ceska zbrojovka CZ-858 rifle and certain Swiss Arms firearms — as "prohibited", which means owners will have to apply to have their rifles "grandfathered" or face dispossession.